Two years ago my wife and I decided on Forest Lawn as the place to build our family. We were pregnant and looking to buy our first home together. Initially, I was skeptical of the location based on the reputation the community had, but the reality of the neighbourhood was significantly different than what I had expected. I have found Forest Lawn to be one of the best neighbourhoods I have lived in here in Calgary, for many reasons. There are many great shops, local businesses, amazing food, and a diverse blend of cultures all coming together to make Forest Lawn feel like a small town in a big city. The proximity to downtown is great and with the construction work underway on 17 Avenue and the vision for the corridor from the BRZ/International Ave and the City of Calgary, I found that there are only a few things that needed to change to make Forest Lawn live up to its potential. One thing was that it needed to be physically cleaned up. I had decided that I wanted to get involved in my community and I was able to get in touch with the Forest Lawn Community Association. I offered my services to help in anyway and I was informed about a community clean-up the FLCA was hosting. I offered to design the flyers, print and distribute them. One of the aspects of the clean-up was that not all residents were able to move their garbage or recyclables to the location. We would need to find some volunteers to pick up the materials from any residents that required it. This made me think, if we had to pick up the garbage, we should just be dropping it at the landfill. If we were able to get access to the landfill, I could use that access to clean up the rest of the neighbourhood. I eventually elaborated on the idea until it developed into a project. I plan and implement projects every day in my line of work and it only seemed natural to apply the same formula to this project. I set up the goals for the project, expected outcomes, and a plan of action to have it accomplished. The first step was organizing a way to remove as much garbage as possible and where it would go. I contacted the City’s Waste and recycling division and sent the director my plan of action and asked for 3 days of access at no charge to remove the debris. I then tried to find a resource to fund the operation. I received notification back from Waste and Recycling Services that they would be happy to be a part of the project. Although they weren’t sure about how they were going to go about structuring it as it was a new initiative. 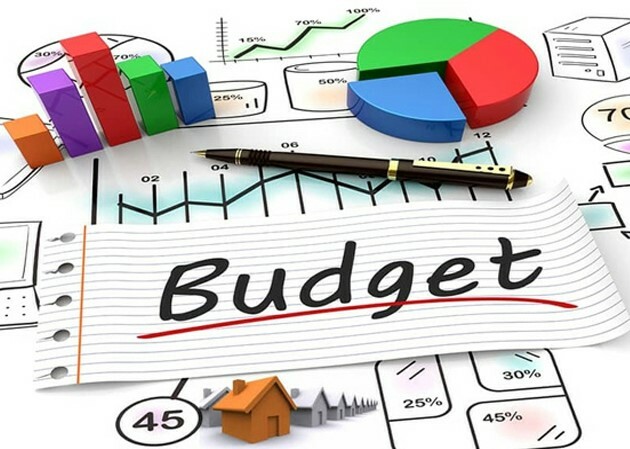 Funding on the other hand was a much more difficult aspect as there wasn’t an operating body that would be able to fund the project, for one reason or another. (Starting in late 2018, anyone with an idea to help their community can apply for funding through the GFL Small Grants Committee). Because we had the backing of Waste and Recycling Services, and the support of Councillor Gian-Carlo Carra and his team, I decided to fund the project. The next difficult step was to find volunteers. I made the rounds through my friends and family and had confirmation from many of them for at least a few hours over the weekend and that was a good enough start. I then approached several businesses, not-for-profits and social program directors in the neighbourhood. Many said they were unable to help or didn’t have the resources and made recommendations to other places or people. When I approached Foothills Landscaping, a long-time member of the Forest Lawn community, they volunteered. 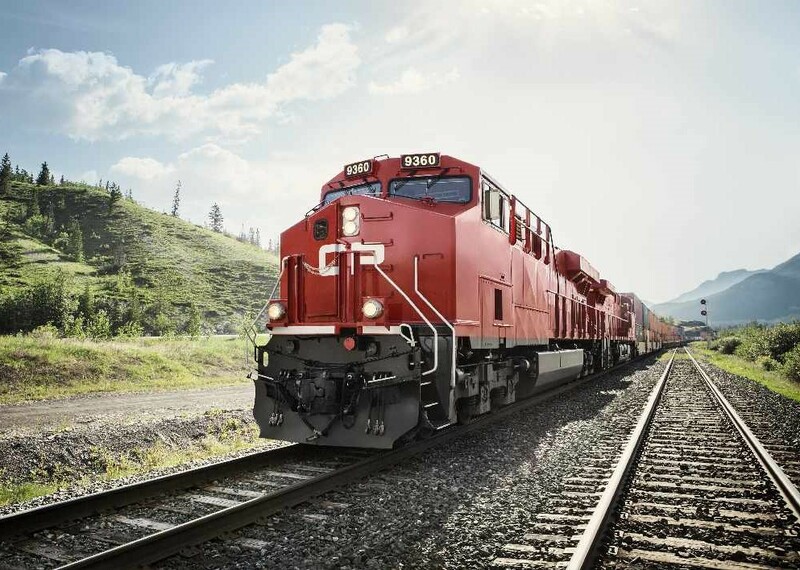 They offered the project two vehicles, if they could find volunteers to run them from within the company. 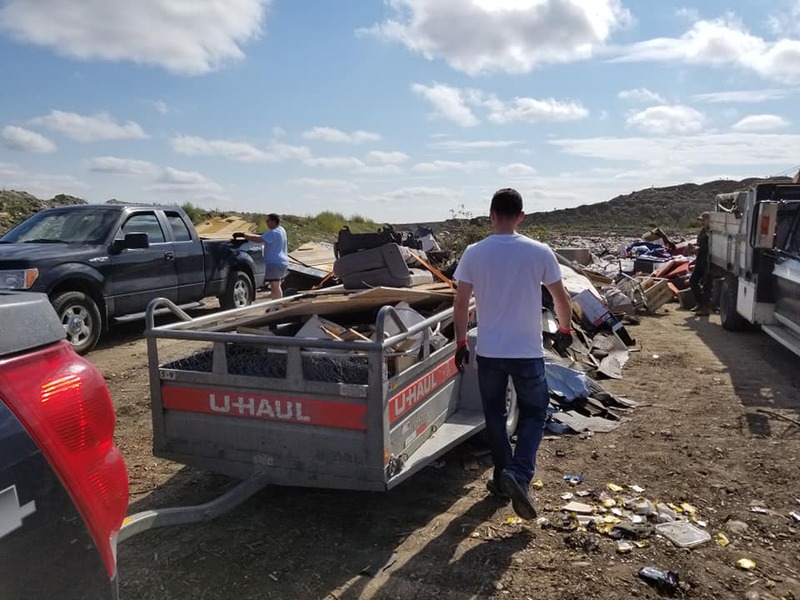 The President of Foothills landscaping, George, and another great volunteer, Roy, stepped up and drove the trucks and helped pick up the waste scattered through the alleys. I organized the teams so that we could have the maximum impact, giving each crew a set of laneways to clean-up. Because of our lack of resources, we really needed to be efficient in how we used them, so planning was a key element to achieving success. The project was a huge success. By the end of the 3 days we had accomplished quite a lot and made a big impact on the aesthetics, safety and pride of the community. Some of the most common things we came across were couches and mattresses, we also often had to clean up ripped open garbage bags or overturned black bins. We did have to call the Calgary Fire Department to come out to two scenes while we were on the clean up. We had come across several needles in various locations and one particular area with roughly 50 needles that needed to be cleaned up. 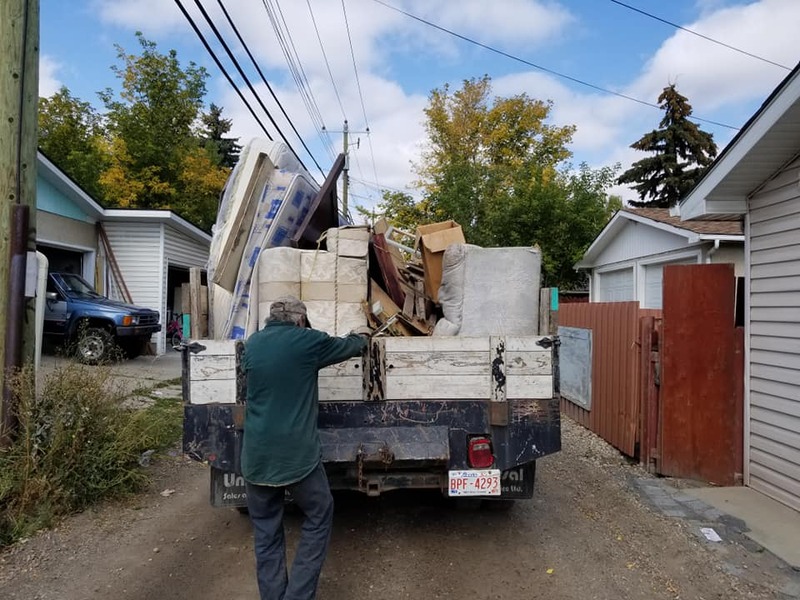 While it wasn’t nice coming across those, we were very happy to be able to remove them from the neighbourhood and create a safer space for everyone. One of the best outcomes of this project, outside of the intended goals, was the communication with the community. They were so happy to see that someone was helping the community and cleaning up what everyone had seen as a major problem. We were thanked by many of the residents and many of them had questions as to why we were doing it, and who we were hired by. I think that many of them were shocked that someone could just take it upon themselves to fix a problem. If one lesson is learned from this, I hope it is that ever citizen, every individual has the power to make positive change. You don’t have to set up a whole program or clean up an entire community. You can volunteer a few hours at your local community association, pick up garbage as you walk down the street, cut your neighbours grass or shovel someone’s walkway. Everyone has the power to affect change in their community. Perry, Chris, Dwayne, Pete, Allan, Steve, Roy, George and Bill. Mike Haines, Rick Valdarchi, and Je Fei Shi from Waste and Recycling Services. 12 Community Safety Initiative. BRZ / International Avenue. As well as Gian-Carlo Carra and his staff. If you or someone you know would like to become active in your community, a great way to start is by joining your local Community Association. Crews are busy at work on International Avenue, and there are some detours and closures this weekend. Starting at 7 a.m. September 29, 2018 westbound 17 Avenue S.E. will be reduced to one lane at 19 Street S.E. The westbound left turn lane on 17 Avenue S.E. to 19 Street S.E. will also be closed. Eastbound 17 Avenue S.E. will be reduced to one lane east of the 19 Street S.E. intersection. Traffic lanes on 19 Street S.E. will be shifted and the pedestrian crosswalk on the east side of 19 Street will be opened. This work is weather dependant. Starting at 7 a.m. September 29, 2018 westbound 17 Avenue S.E. to 19 Street S.E. will be reduced to one lane at 19 Street S.E. The westbound left turn lane on 17 Avenue S.E. will also be closed. Don’t forget your favourite businesses on International Avenue are open during construction, so make sure to stop by. 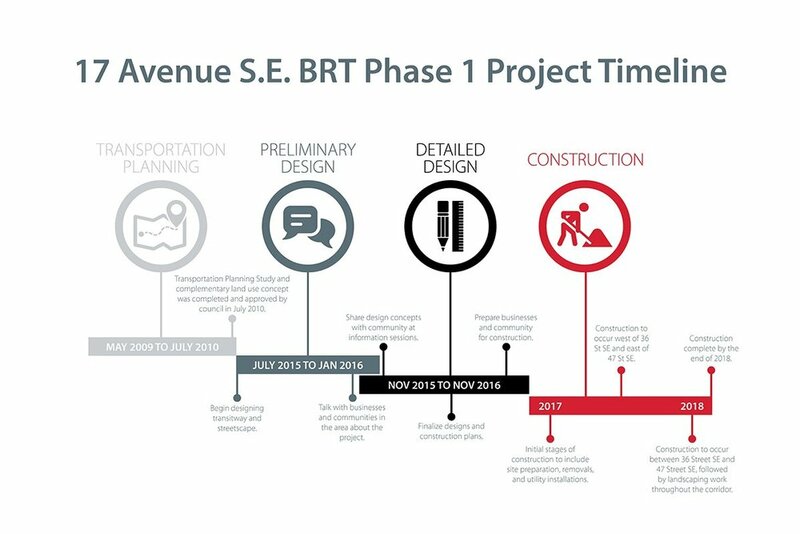 Stay in touch with the BRT Project Team and get all updates by visiting www.calgary.ca/17AveSEBRT. Hi Inglewood and Ramsay residents! The Ward 9 Office has received word from the Calgary Zoo that the West Gate will be closed effective Tuesday, October 9, 2018. However, eligible Calgary Zoo members who live in Inglewood and Ramsay are able to pass through the Calgary Zoo’s Security entrance with their valid zoo membership and special Ward 9 Community Pedestrian Pass. Please confirm your eligibility for the pass by contacting ward09@calgary.ca and include a photo of your valid zoo membership and proof of address. Inglewood and Ramsay residents who are valid zoo members must contact the Ward 9 Office to receive a Ward 9 Community Pedestrian Pass. To gain access through the Security entrance, members must present both a valid membership card along with a valid Community Pedestrian Pass. If a membership has expired, unfortunately access will not be granted. The Security Team is not able to renew memberships; this can be done at the north gate, online or over the phone. Access applies to pedestrians only; there is no public parking available. Members entering at the Security gate are not able to bring guests who are non-members as Security does not have the capability to capture payment or complete transactions. As the Security Team does not have the capability to capture payment or complete transactions, there will be no special access for evening events including ZOOLIGHTS. Hello Ward 9! Happy fall. 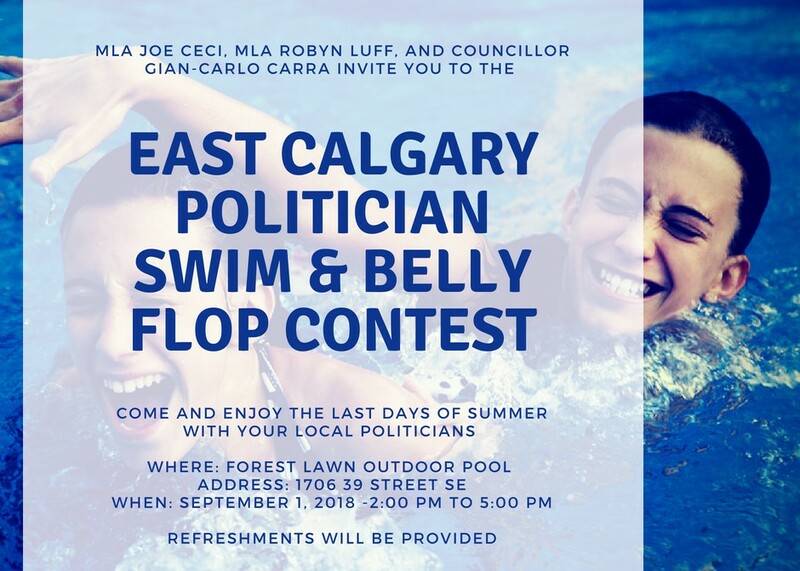 I am writing this article to tell you about a very exciting notice of motion that six of my colleagues and I on Calgary City Council are bringing forward to the September 10 Meeting of Council. Councillor Gian-Carlo Carra shares his thoughts on the Street Safety and Neighbourhood Speed Limits and Vision Zero. The Notice of Motion is entitled ‘Street Safety and Neighbourhood Speed Limits’. What we are looking to achieve is the culmination of many years of work and advocacy for Great Neighborhoods, and many years of listening to people at their doorsteps. That work, which is now within The City of Calgary’s jurisdiction due to the new City Charter, is to decrease speeding in residential neighbourhoods, on residential roads throughout Calgary, by defaulting the speed limit on residential roads to 30 kilometres per hour. Why 30 kilometers an hour? The science is clear that that is the point where our neighbourhoods and communities gets a lot safer for everyone who works, plays, and lives there. It is stunning to know that collisions involving people who walk cost society $120,000,000 dollars a year. At 30 kilometers an hour you feel a lot less concerned about the impact of neighbourhood traffic on your life and lifestyle, and importantly, in neighbourhood zones, it has a minimal impact on people's commute times. Can 40 km/h work instead of 30 km/h? There have been some people who have asked me whether 40 kilometres per hour is a decent compromise. To be honest, while it sounds like a common sense place to start, the science does not support it. In fact, what we know is that when collisions happen at 40 kilometres, survivability starts to decrease substantially. The fact of the matter is that 30 kilomteres per hour has the best balance of safety and travel times. What do you mean by residential roads? Often we think about residential roads as all streets in the neighbourhood. For the purposes of this Notice of Motion and the direction we’re looking to provide to City Administration, that is not accurate. In this case a ‘residential road’ would be roads that do not have lane markings on them. Different roads in Calgary have different ‘road classifications’, and not ever road found in a neighbourhood and community is a residential one – it could be a ‘Collector’, ‘Skeletal’, or ‘Arterial’ one. If you think about it, non-lined streets with no lane markings represent a small fraction of our commutes - about one minute – and the benefit for our collective and individual qualities of life is clear and obvious when we think about what safer, more walkable, and congenial neighbourhoods means to us. But the benefits to our quality of life do not end there. Lowering the speed limit in our neighbourhoods and communities also saves lives. This Notice of Motion will be going to Council for debate on September 10, 2018. Is 50 km/h really THAT dangerous? It is known and proven that at 30 kilometers an hour, one in 10 people will die from a collision with a vehicle. At 50 kilometers per hour, Calgary’s current default limit, that number skyrockets to nine in 10. The chances of accidents dramatically as our speed increases because our ability to see what’s around us and react quickly to unexpected circumstances as we drive decreases as the speed goes up. Additionally, Council will be continuing the work that was started by the Step Forward pedestrian strategy which recognizes that lower neighbourhood speeds are key to making communities and neighbourhoods safer and more desirable. I am super excited that there’s a lot of support on Council for this. I am also very excited for the debate, both publicly in the lead up to September 10. I have heard from many residents and businesses on this issue and I want you to know that I have given it full thought as there is no ‘one-size-fits-all’ solution to some of the specific questions we may have about the roads we use every day. I recognize that changing the speed limit alone will not reduce speeds, but I also know that complimentary design changes are key to ensuring that Calgarians will follow the limit and that our communities and neighbourhoods become safer. While changing the limit is a first step, I am dedicated to ensuring that these practices allow us to change Calgary’s design standards and build streets correctly the first time, saving money and time. This Notice of Motion does not only call for lowering the residential speed limit to 30 kilometres. For us to make sure that this is successful for all of us, there are other challenges and obstacles we need to address. I fully acknowledge that setting a speed limit is one thing, and environmentally designing our road system to drive slower is a much different and more important thing. The old school transportation engineering approach, which built a lot of Calgary, worked on the flawed theory that you made streets safer by encouraging driving faster. What we now understand is that when you make it safer to drive faster people drive faster, and speed kills. For example, if you have a 50 kilometre speed limit posted on a road, the old-school design speed for that road might be 70 kilometres an hour. We also know that people while drive at the speed the road design allows, regardless of what the actual posted speed limit is. Car collisions with people who drive, cycle, and walk, are common sites in Calgary. Road design and speeding are often factors. I have heard that some people think this is a cash grab. I want to be clear that this Notice of Motion asks City Administration to explore funding these road design improvements through speeding fines and that this revenue from those that are breaking the law as it currently stands does not solely go to enforcement or general revenue. Instead, I believe that this revenue should go to fixing the root cause of the problem of speeding. This Notice of Motion is embarking on a generational shift to fix the wrong-headed approach in the past through also asking that roads are designed to reflect the speed limit that is intended – making streets safer for ourselves, our families, and our neighbours. I am glad that the Calgary Police Service also believes that the cost to society is too high and that the number of collisions ending in harm to a Calgarian must be brought down. The third item that this Notice of Motion is looking to achieve is an educational and promotional campaign that will work with the Calgary Police. I am not expecting this work to be done overnight. It will take time to get the on-the-ground expertise of residents, identify and prioritize hotspots, and update our policies and traffic calming will take years to spread throughout the city. But I have heard you loud and clear - you have asked me to work towards decreasing speeding in your communities and neighbourhoods – and through extensive research, international best practices, and clear science, I am proud to support this practical and plausible way forward. I hope you can support this too, and I hope to hear from you. I wanted to send you a note regarding some utilities work around Pop Davies Park in case you come across it and have questions or concerns. With the Green Line coming to Millican-Ogden soon, Enmax will be doing some preparation work by conducting shallow utilities work along Ogden Road SE, in the area north of Pop Davies Park. Overhead wires will be lowered to underground ducts. The ducts will be directionally drilled. In order to do this, hydrovac work will occur with traffic accommodations with the road right-of-way to ensure that the drilling is successful. The work will also include removing abandoned poles along the west side of Ogden Road from the CN bridge south to just pas Millican Road. Work began on August 29, 2018 and will continue for approximately three weeks. No signage will be posted for this work, though Enmax vehicles will be seen on-site. Please note that there are no direct impacts to private properties or private accesses during this construction. Traffic accommodations will be made from about September 5 to September 14 to ensure that traffic flows as smoothly as possible. There will also be two 15-30 minute windows of closure that will be coordinated with Roads to remove overhead wires will be necessary, though when they will happen hasn’t been decided and will be determined as the work progresses. One closing will be across Ogden Road south of the CN bridge, and the other will be across Millican Road along Ogden Road. Also, I have been informed that no trees are being removed. There is an expectation that the smell of petrol from contaminated soil will be noticeable near the small excavations for drilling once the earth is opened up. The Green Line team has indicated that the smell itself does not present a danger to humans and animals. The hydrovac truck will be operating in the area during the first 2-3 weeks and will be quite noisy but will only be operated during the work days, and not evenings and weekends and the excavations will be fenced off for general public safety according to best practices. If you have any questions or concerns, please do not hesitate to contact 311. If you feel 311 isn’t appropriate, please contact my office and we will do the best to satisfy your concern. Have a great weekend, and be sure to share this information with folks in the community who may have interest. What are your favourite mobile phone apps to get around and explore Calgary? Photo source: Olivia Firth. The City of Calgary has a number of great apps for Calgarians to stay connected. Not only can you receive up to the minute information, many also allow you to provide input to the City. 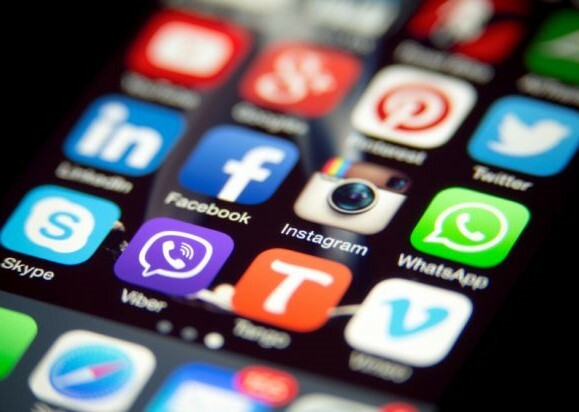 Here’s a list of our favourite apps. For a complete list of apps, click here. The 311 app allows you open requests for service, and the Calgary Police Service app allows you to report crimes and submit anonymous tips to Crime Stoppers. Have the ability to track the status of your request using the auto generated service request (SR) number. Click here for a video tutorial of the Calgary 311 mobile app. Put in your address and the app will alert you the day before for blue/green and black cart pick-ups. It also tells you what go in which cart, and reminders for how to set out your carts. 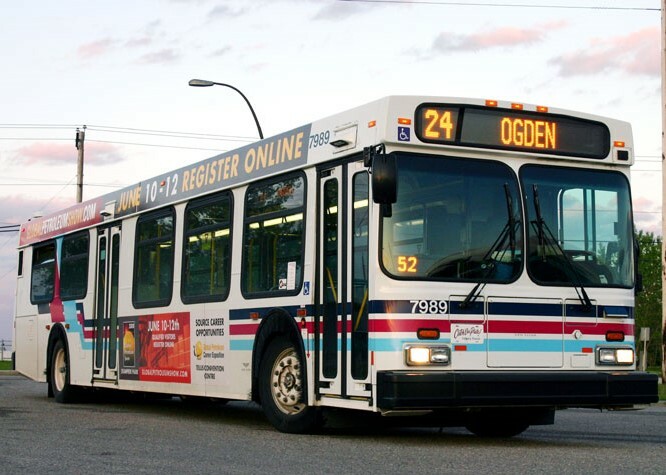 Calgary Transit wants to connect you with the people and places you care about. This app has everything you need to help plan your trip today. Right on launch, it displays all nearby route options and departure times giving you instant access to the information you need most. With a couple more taps, you can track your bus on the map, plan trips, view schedules and more. 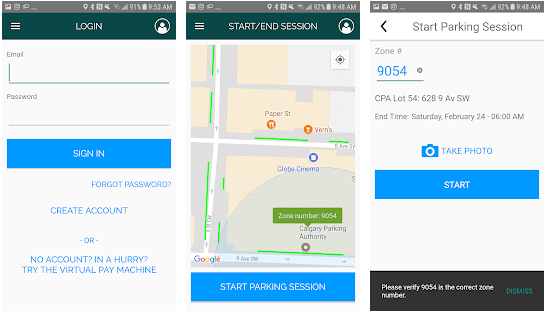 Save time and money by paying for parking in Calgary on-street or in any Calgary Parking Authority facility with a ParkPlus cell phone account. This ParkPlus Account Management application allows you to pay for your parking sessions, add money to your account and see your account balance. You will require a ParkPlus account in order to use this application and can register for one using this app. With these mobile apps at your finger tips Calgary opens up. Every member of the Ward 9 Team have these applications on their phones and find it extremely useful. What are your favourite apps to use in Calgary? 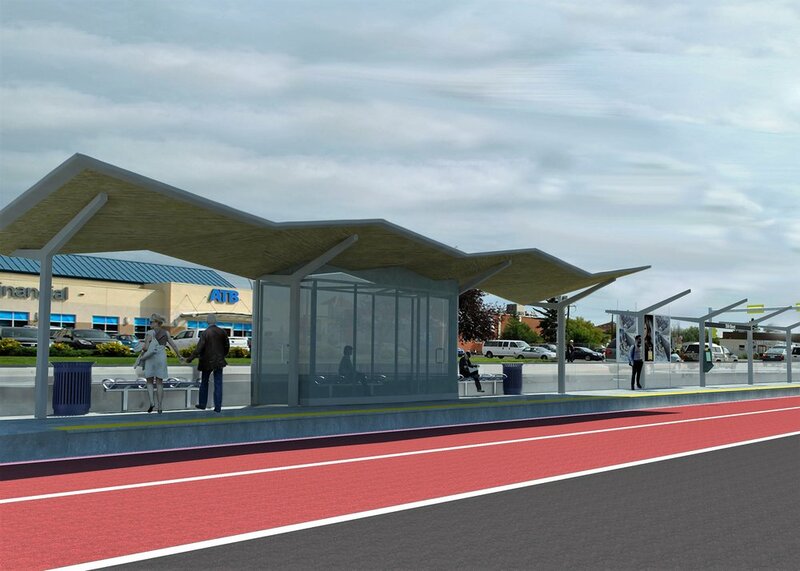 The City of Calgary is making infrastructure upgrades in this area to help make the future construction of the Green Line LRT easier. This work includes the installation of a new drinking water main for the future Highfield Station. To complete this work, the intersection of Ogden Road and Highfield Boulevard will be closed during the weekend of August 24. The closure will begin Friday, August 24 at 7 p.m. and will remain in effect until Monday, August 27 at 5 a.m. During this time, traffic will be detoured to 15A Street and 34 Avenue SE, as per the attached map. To accommodate this detour, parking along 15A Street will not be allowed and alternative parking will have to be found during this time. 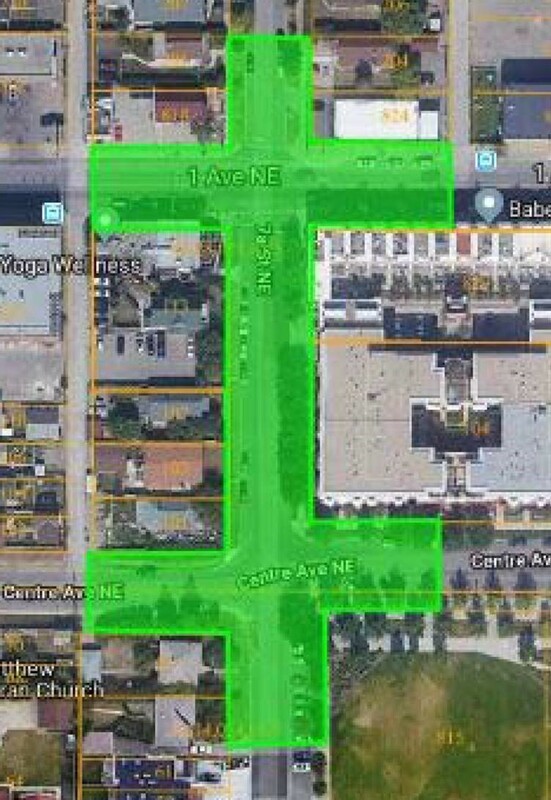 Approximately 250 businesses in the area have been notified about this planned closure and The City of Calgary Green Line team thanks the public for the patience and apologizes for any inconvenience. If you have any questions, please contact 311.